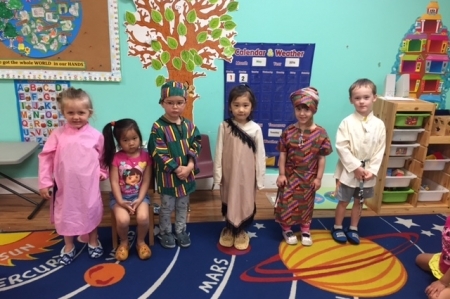 At GCA Montessori, we make use of the Montessori curriculum to provide kids with the best opportunities to learn. We facilitate various programs to make these opportunities available. We believe that children learn best when they are exploring the world, learning through their personal interactions with different things they come across with. We provide age-appropriate, carefully monitored, and highly structured services tailored to meet the developmental needs of each child in our care. We offer fun, stimulating activities for young infants and toddlers. 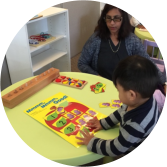 We have carefully planned programs to meet the needs of children at this developmental stage. 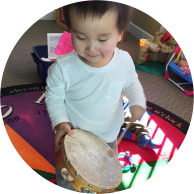 We offer several fun music activities and songs. Allow your preschoolers to learn early at this time when their brains are active and willing. 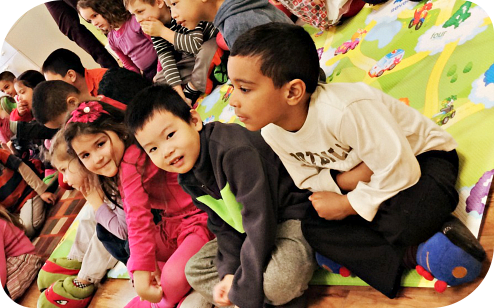 Our carefully planned lessons provide your child with new knowledge and skills. To support the academic needs of your child, we offer tutoring sessions. 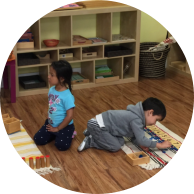 Our mission is to provide a holistic Montessori program which includes the intellectual, social, physical, and emotional development of each child. We provide our services in a nurturing, academically excellent environment. 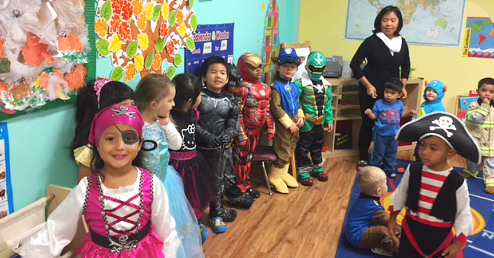 GCA Montessori Daycare and Preschool is the best! Ms Christina and her staff are amazing with their passionate teaching style for the children of all ages. Children are always engaged, learning and having fun in a good environment. My children (age 6 and 8) started attending GCA Montessori (formerly Wise Owl Montessori) in 2011. 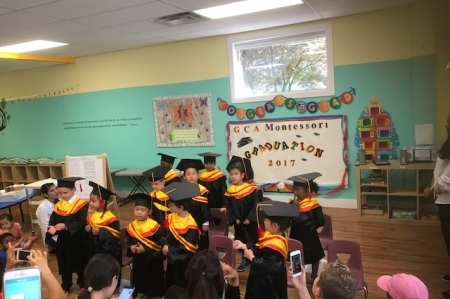 If you are looking for a safe, clean, loving and learning environment, GCA Montessori is the best choice for your children. I have both of my sons in GCA Montessori, one in the 3-5 program and one in the infant toddler program. The curriculum is amazing, my oldest was speech delayed and once in the program he flourished under the care of the employees. Ms. Christina, Ms. Roshi and all the other wonderful caregivers have been absolutely amazing with my crazy schedule, the hot lunches are wonderful and save me time, energy and money. They have done everything possible to keep costs at a minimum while providing a level of care that I have never encountered. Keep up the good work! I will always recommend them for anyone looking in the Guildford area. My 3 children went to GCA Montessori since the very beginning of the childcare ( previously Wise Owl Montessori ). I only have good things to say. All the staff are excellent with the children and have a very good approach with them. 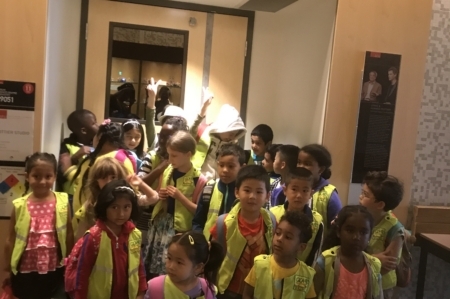 The learning program is excellent and they are doing amazing activities like going for walks, going to the elementary scool library, rock climbing and pumpkin patch. My youngest son is currently in the preschool/daycare program and my 2 oldest sons are part of the out of school program. They love going there on pro d days and summer vacation. As a parent, it is so important to know your children are on a safe, clean and loving environment. This is the best school my child has ever attended. He went through a few and I was extremely nervous to put him in another school. And I came here, the second I walked into the facility, it was so refreshing. So many learning materials. I can not say enough good things about this school! The amount my son has learnt is amazing. I really wish he was here way earlier or can stay longer!!!! If you're looking for academics, this is the place. If you're looking for something play based, this is also the place. You will not regret coming to GCA!!! Thank you to the amazing, caring, loving, knowledgeable, and friendly Staff. One of the top right decision I made for the past couple of years was to send my twin girls to GCA Montessori. All the teachers here are very nice, they are also skilled and patient to kids. 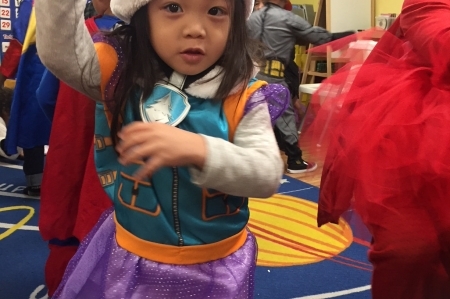 My younger girl got development-delay since she was born, but she has improved a lot since the beginning of this year, even I get the benefit too……I learned a lot from these professional teachers who can help me to do the right things for my kids. I should say big thanks to our support teacher and all the teachers. In these couple of months, I also see the classes have been improved adding more learning materials that can support the kids doing better through playing and learning, that is so wonderful! I enrolled my son at GCA Montessori when he was 2.5, he is now 4 and I have never been so at ease with living my only child somewhere that wasn’t family. The teachers at GCA are caring and not just teachers, I feel like they care for my son almost as much as I do, if that is possible. I had visited the school on 2 or 3 occasions prior to my son starting, to inquire, each time I visited I noticed one teacher washing the floors or wiping the kids cubbies and noticed how clean and tidy it always looked. Now after having been there for two years, I KNOW how clean it is, and a teacher is cleaning including the floors multiple times a day it seems. On top of the caring and compassionate way of the staff, the learning that goes on astounds me. I found out at a parent teacher observation that my 3 year son was learning French…at 3, can you believe it? I was so impressed and am now considering French Immersion for Kindergarten. The opportunities for learning and growth through the Montessori way of teaching has surpassed anything I could have hoped for. At first I was happy if he learned his ABCs and could count. He now has been taking piano for the past year once a week that is offered at GCA and learns French. During a parent teacher interview I had an opportunity to talk with his direct teacher and see the tools and resources they use to learn to count, learn their sounds/letters, and start to write which makes learning fun and I see why he has done so well. The fact that they even offer parent teacher observation sessions and interviews in preschool is amazing to me. On top of the things I had hoped my son would learn at preschool they taught him how to be independent, teaching the children how to put on their jacket themselves, their shoes, wash their hands, line up and respect one another, use their words instead of crying or whining. I could not be happier with GCA, my only challenge now will be leaving when he starts Kindergarten in a year. Although I will likely still have him in the afterschool program. 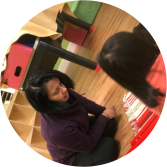 "I have been using GCA Montessori since 2012 for my daughter with Down Syndrome. Prior name of this daycare was Wise Owl Montessori. 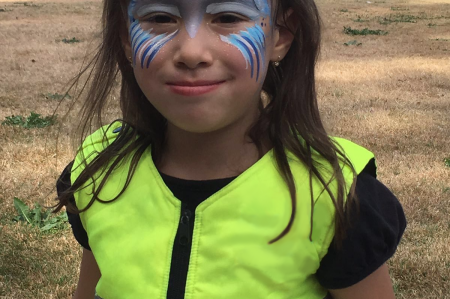 This was the only daycare in Surrey that provides exceptional, individualized and special needs services to my daughter. I had visited almost all daycares in Surrey prior to enrolling my daughter and continue to use this for both my children. My children especially my daughter look forward to going to this place, she knows all teachers by their names, love sharing daycare stories at home. 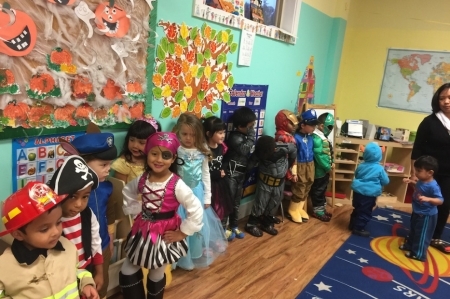 It is because of this daycare my daughter started to talk, staff works very closely with child support worker in providing her with individualized care. I have not encountered any instance where my daughter is perceived different compared to other children. She is including included in all indoor/outdoor activities. Her care needs are given priority. Ms. Rosie is an excellent teacher, she has been with my daughter since day one and understands my daughter’s needs well. All other staff provides excellent services as well and also includes/the child support worker from center for development in all care activities. My daughter has gained valuable learnings particularly her mannerism gets high regards where ever she goes or meets. I highly recommend this daycare for all childcare needs to parents with special needs child. You need your this child to be inclusive in all activities that provide supportive environment and GCA Montessori exceed our expectations. This is our family childcare facility." I enrolled my daughter at this day care when she was 2 years old. She stayed there till she was ready to go to kindergarten. Now my son is enrolled there at age 3 till he can go to kindergarten. The staff are really caring. The teachers help the children learn all the necessary subjects and prepare them for kindergarten. They also do many creative projects. The facility is very clean and safe. The children go out for field trips and my children love being at that school. They get very excited to go every morning. The teachers also help with growth child development. They helped both of my kids through potty training. I have had the best experience at this school. I can go to work everyday knowing that my kids are safe and we’ll taken care off. I recommend this school to any parents. "I love the staff at GCA and appreciate all the love and support the have given my son." "After having our first child attend GCA, we knew that our second would be attending also. We were so happy that Miss Roshi + Evangi were still here when we registered our second child. Thank you so much to all the teachers for all their love + support. We will miss you all." 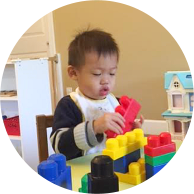 "We are the family recently moved from Alberta to Surrey BC and we have been visited about 20 daycares before we found GCA. We chose GCA because of environment in terms of facilities, cleanness, decoration wise I have already rated the best one in Surrey! My boy has been joining less two months now, you already saw many improvements! He's catching so quickly in English (we only spoke mother tongue at home) and you cannot image how talent his teacher is in terms of his works' brought home! I was received photos and feedback by email on my boy's first day at GCA! Too much positive comments about GCA! Specially thanks Ms Kuljit, Ms. Selina, and Ms Christina. You are the best." "Chester loves coming here, he learns so much." 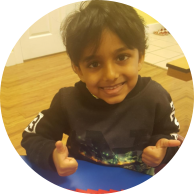 "We are very thankful for the teachers, especially Ms. Vangie and Ms. Roshi, who helped Aaron to be confident and sociable little boy which was not, the first time we brought him there. We have been pleased with the level of care GCA has provided for our child. We researched many facilities within the area and selected yours because of your high-quality preschool education program. Aaron have made many friends at your daycare facility." "I'm very pleased that my son we've seen a huge improvement. He improved a lot, big help of the teachers of GCA Montessori. I'm confident he's ready now." Our classrooms are bright and spacious. This way, our children will have enough space to move and get comfortable with learning. 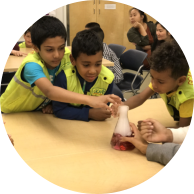 Furthermore, we facilitate different activities that do not only foster learning but also promote social skills, self-confidence, and fun. 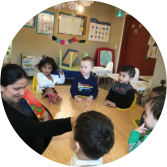 The members of our faculty are all qualified and comply with the child care licensing requirements established by the appropriate authorities. In this manner, our faculty will be able to fully contribute to the growth and development of every child under our care. 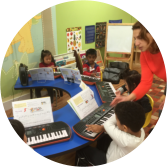 Beside instilling the joy of reading in our younger learners, we would like to offer a music program focusing on piano lessons at additional affordable cost. French is offered every week to all the classes. 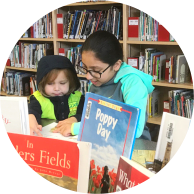 Every week, we take a walk to the library at Mary Jane Shanon Elementary, our next neighbour school. We also support you reading to your child at home. The bonding between you and your child during the reading time will last forever in her/his heart. We provide comprehensive information to help parents learn more about the activities for their kids in school. For assistance, please contact us at 604-496-5115. A lot of upcoming events are being prepared for your children. These are great events that your kids can participate and have fun. 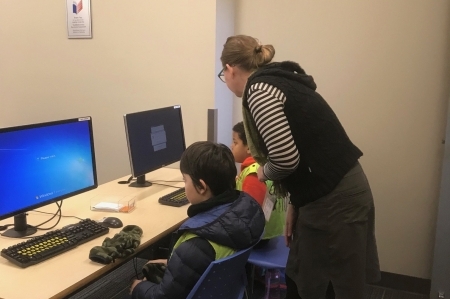 Fee Reduction Initiative has enabled GCA to provide an affordable rate for parents who enroll their infant and toddlers full-time, including hot lunch (snacks and milk) at $800. We also offer full-time service for kids 3-5 years of age, serving hot lunch (snacks and milk) at $780. 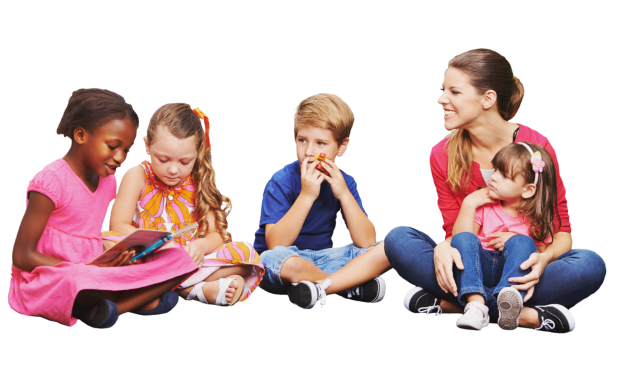 We also offer other childcare-related programs that include, preschool, school age, and part-time. For further details about the programs we offer, please contact the office at 604-787-8604 / 604-496-5115 or info@gcamontessori.ca. Our teachers have valid ECE Licenses to practice! They are also First Aid Certified. As educators, we consider our job to be of great importance. We are honored to be entrusted with the responsibility of helping the younger generation grow, learn, and succeed. 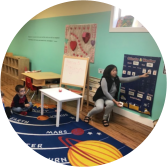 Do you want to get to know our teachers at GCA Montessori? Visit us soon or set an appointment! For general inquiries, enrollment concerns, or program-related questions, please don’t hesitate to reach out to us for assistance. Our faculty members are always available to assist you. Let other parents know about our care programs. We are excited to have you visit us anytime soon! Know how qualified and competent our faculty is. Find out what activities we have in store for you!